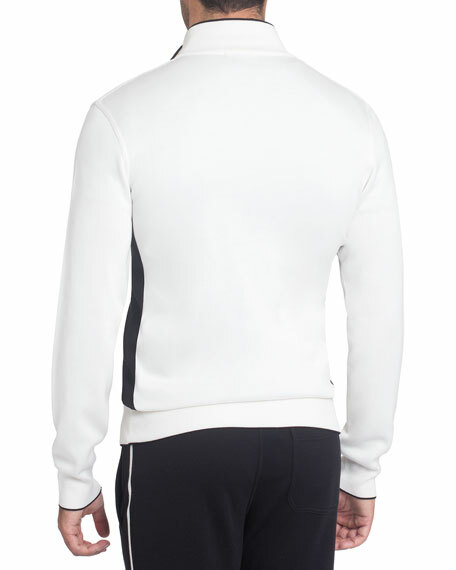 Stefano Ricci jogging hoodie with eagle logo. Mauna Kea tie-dye sweatshirt with logo print on front and "Love Lava" print on back. Each piece is unique and takes 20 minutes to color. Double-drawstring hood. Zip pockets on sleeves. Kangaroo pocket. Ribbed cuffs and hem. Pullover style. Cotton. Handmade in Florence, Italy. PRPS knit hoodie with denim star patches. 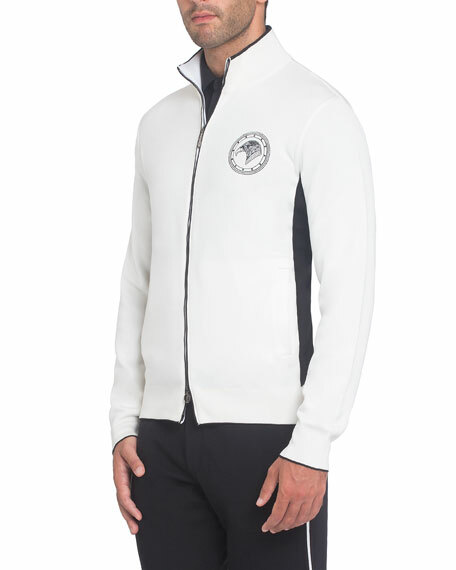 Hooded neckline; zip front. Long sleeves; fringed shoulders. Kangaroo pockets. Relaxed fit. Straight hem. Cotton/polyester. Imported. Model's measurements: Height 6'1"/185cm, waist 32"/81cm, typically wears size M.